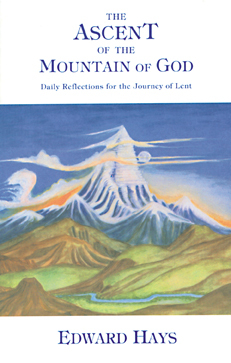 In brief but powerful reflections for the 40 days of Lent, Father Hays has created a thought-provoking adventure, taking us on a sacred mountain-climbing expedition, with the mountain being a universal symbol of the presence of God and the place of awe-inspiring encounters with God. Beginning on Ash Wednesday and with each new week of Lent, we are led to another height on the way to the summit of the Easter Mystery, from Mt. Diablo through Mt. Sauvage. As his readers have come to expect, Ed Hays has woven into this manual a rich collection of parables and stories, prayers and paradoxes, for turning the challenge of the Lenten ascent into a joyful adventure.